Abstracted/Indexed in Google Scholar, OCLC, and Summon by Serial Solutions. Published by Springer (More info). 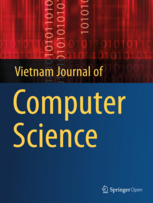 Special issue on Computational Intelligence in Data Mining and Machine Learning (More info).